of Salzburg, Austria and very good slopes have a lot of people coming here. The height difference of 4,087 feet is a wonderful drop. No matter if you're skiing or snowboarding, in this general area, you'll find loads of ski resorts. Having 17,500 acres of skiing territory you will never be short of skiing territory. This ski hill has a nice pick of ski runs to suit all abilities; it's totally impossible to get bored here. 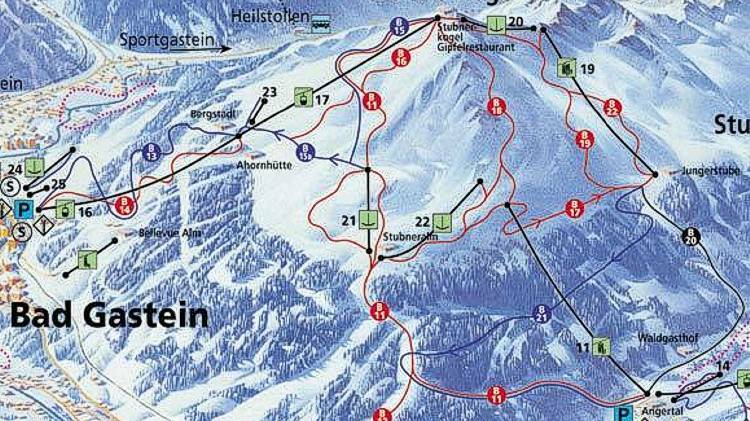 Bad Gastein is a family friendly ski hill with lots of beginner and intermediate ski runs for novices. The snowboarding and the skiing in this part of the country is a perfect thing to do all winter season long. A bit of exercise and just hanging out with your skiing buddies outshines anything. The hills of Salzburg, Austria during ski season are something you can’t leave out if you're hooked on snowboarding and skiing.